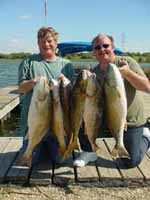 Texas the Greatest place for Fishing. Watch TheMessage Board for cancellation hunts and discounted fishing trips! Striped Bass on Beautiful Lake Whitney in Whitney TX. spring time we use a Varity of artificial baits summer time we use live baits. Average size is 4 to 10 lb. with many to 20 lb. Adventure in San Antonio, TX. High energy excitement, vast knowledge, educational experience. 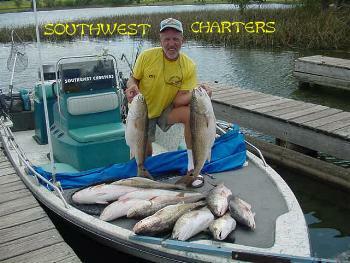 Finest boats, electronics & tackle; a truly premier fishing guide service. 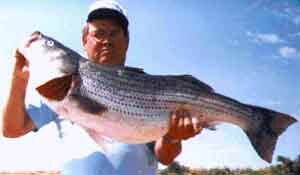 Professional guide service striper fishing Lake Texoma. TPWD licensed guides. 22 years experience. I guarantee you catch fish. Free lodging; Gift Certificates; Credit cards accepted. Post messages on the board and check for specials offered by listed Outfitters, Guides and Lodges. Also, Outfitters and Guides can post ads for hiring Guides, and Guides can post ads seeking employment.